Enorasys platform is a platform created by Encode, a Vendor providing Security Analytics & Response Orchestration and nextgen Cyber Operations and Intelligence. Enorasys empowers customers with integrated signature and ‘signatureless’ based early warning and adaptive response capabilities against advanced cyber threats. Enorasys empowers customers with integrated signature and ‘signatureless’ based early warning and adaptive response capabilities against advanced cyber threats. Enorasys managed detection & response (MDR) platform is built by cyber security experts in data analytics, cyber offensive techniques and cyber security operations. Enorasys is a security platform enabling continuous situational awareness and targeted response to advanced cyber threat attacks, effectively automating and streamlining the proactive threat hunting and incident handling process. Enorasys Security Analytics & Response Orchestration platform is the only effective antidote to advanced cyber threat actors and APT attacks. The solution is customer centric, agile and can be delivered as a Managed Security Service, Cloud/SaaS, or as an on-premise solution. Enorasys Security Analytics is a leading security analytics solution designed from the ground up to deliver early compromise detection by understanding the “attack logic” and exploitation path of the advanced and determined adversary. This is realized through “focused” Big Data Security Analytics harnessing powerful machine-learning techniques and encapsulated offensive and defensive expertise. 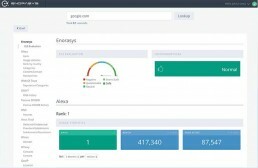 Enorasys Security Analytics is continuously analysing and modelling relevant activity and through a unique analytics approach that combines pattern detection with activity profiling and external/environment-specific context, assigns risk scores to users, nodes and corresponding activity attributes. 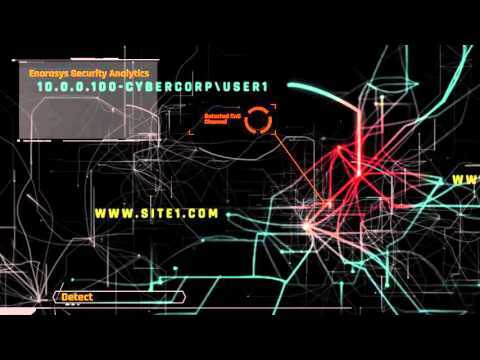 The system goes one step further and by correlating such risk scores is effectively connecting the dots to attack paths, allowing for both backtracking of the attack to its origin and the continuous monitoring of its evolution and extent over time and until it is properly contained or eradicated. Enorasys SOCStreams Incident Response Orchestration system provides advanced Incident Lifecycle Management, by encapsulating and streamlining all core Security Operations Center (SOC) and Cyber Incident Response Center (CIRT) processes. Enorasys SOCStreams in combination with its Adaptive Threat Response (ATR) engine takes the Incident Response process one step further, by providing SOC/CIRT analysts with a central focal point, the integration and the tools required to orchestrate response, ranging from security alert handling to targeted investigation and response. Furthermore, SOCStreams can constitute the main interface for both SOC service users and SOC personnel alike, where all service related communications and management activities are performed and/or tracked. 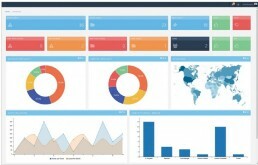 Real-time Security Intelligence Enorasys SIEM system is based on IBM’s QRadar, Next Generation SIEM technology, providing a scalable solution for both log management and real time security analysis. With log management, advanced threat detection and policy-aware compliance management all combined in our NG SIEM system, organizations benefit with a tightly integrated solution that quickly and easily delivers corporate-wide security intelligence. Enorasys SIEM dramatically expands visibility into network activity, user activity and application activity, giving unprecedented intelligence into potential offense sources across the entire network. Ease-of-use in setup and maintenance is among Enorasys SIEM key strengths and competitive advantages compared to other SIEM solutions. Through a combination of embedded SIEM use-case knowledge, security intelligence and advanced automation Enorasys SIEM system significantly simplifies and minimizes deployment and support tasks. Enorasys Lookup Service (ELS) is a cloud platform which interfaces with multiple information sources and provides a common interface to query such sources for data related to an IPv4, domain or hash. The platform provides additional processing modules which ingest source information and by utilizing machine learning algorithms provide an overall, human friendly, evaluation for the requested indicator. ELS can be accessed via a rich web interface with rich visualization widgets or via REST API. The common uses cases for ELS is to be able to visit one place and acquire all available information about a specific indicator and to integrate with other applications which can consume the data.